Media and Contents: Approximately 382 plastic parts, four large polythene caps, ten small polythene caps, one small sheet of vinyl mesh and two full-length flexible vinyl tracks. 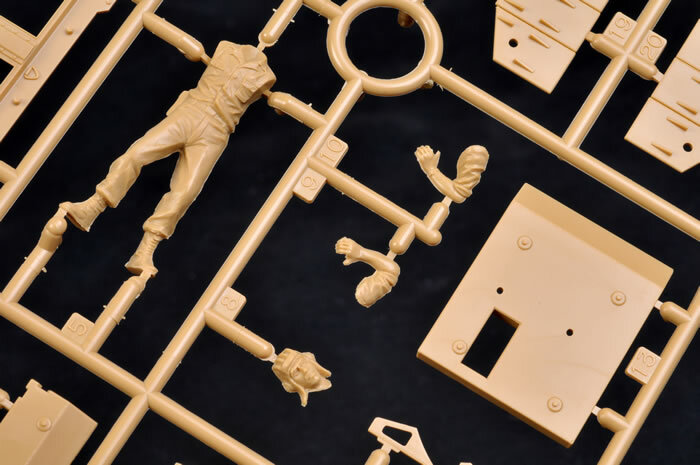 Advantages: First offering of the T-55 Enigma as an injection moulded mainstream kit; straightforward build; interesting subject; high level of detail; many new 2012 mouldings; includes crew figure. From 1941 onward, the backbone of the Soviet Union’s armoured force was the T-34. Although the powerful IS-2 and IS-3 were also developed during the Great Patriotic War, a strong focus was kept on the mass production of the effective, but by no means perfect, T-34. The T-54 and T-55 are simple tanks that are relatively inexpensive to maintain and easy to crew. These attributes have made the T-54/55 very popular as an export type to Warsaw Pact, Middle Eastern and developing nations. Over a period of six decades, the T-54/55 has been subject to many upgrades and modifications, and holds the distinction of being the most numerous tank in history. Production is estimated to be between 86,000 and 100,000. Iraq took delivery of thousands of T-54s and T-55s from 1958 until 1985. These were used comprehensively in the Iran Iraq wars, against Coalition forces in the 1991 Gulf War and again in 2002’s Operation Iraqi Freedom. Around 1,500 T-54s, T-55s and TR-580s were in service with the Iraqi Regular Army in 1990, with 500 remaining in 2002. 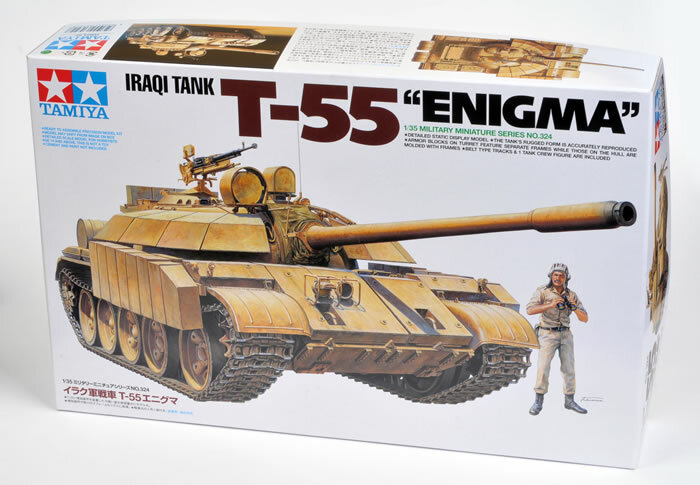 The T-55 “Enigma” was an Iraqi attempt to upgrade the armour of the ageing T-55 during the 1980s. The Iraqi designation of this unique type is unknown – the name “Enigma” was bestowed on the vehicle by Coalition forces during the 1991 Gulf War. The Enigma appears to have been used as a Command vehicle in regular T-55 units. The type saw combat against Coalition forces in 1991, although the additional armour appears to have done little to protect it from heavy losses. Tamiya’s 1:35 scale T-55 kit was released in 2002 and became an instant classic thanks to its high level of detail, accuracy and ease of assembly. It is still easily the best T-55 kit available in 2012. 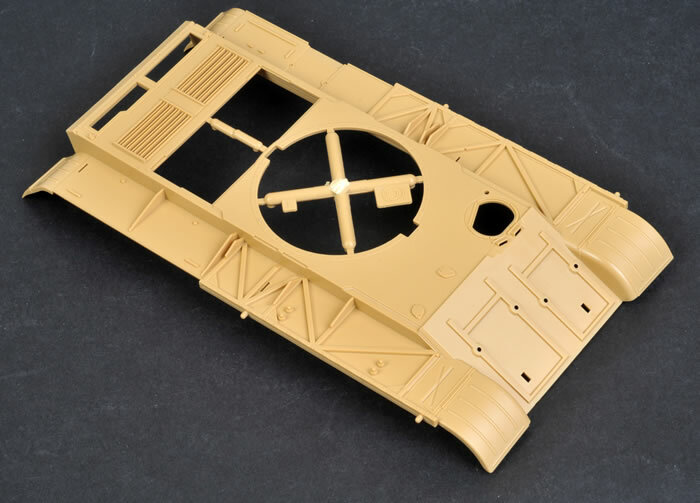 Tamiya has taken advantage of this excellent base kit to deliver an Iraqi T-55 Enigma. 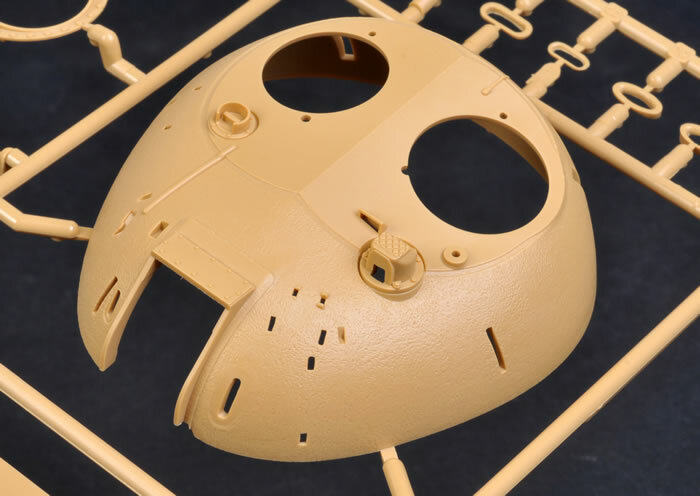 Although the running gear, lower hull and some of the detail parts are from the original boxing, much of this kit is new or modified. 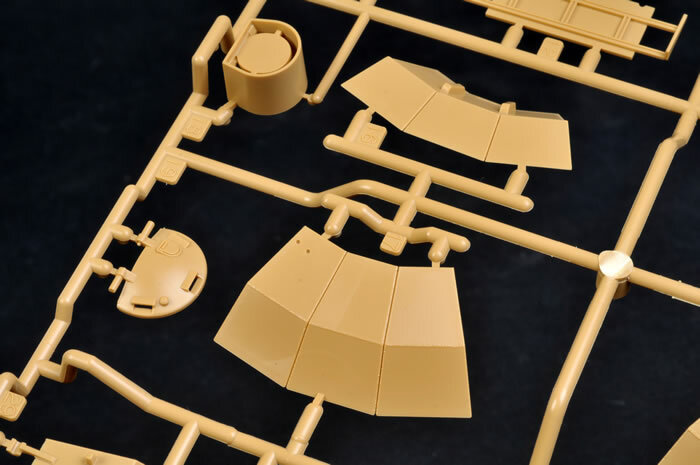 Now moulded in dark yellow, Tamiya’s 1:35 scale T-55 Enigma comprises approximately 382 plastic parts, four large polythene caps, ten small polythene caps, I small sheet of vinyl mesh and two full-length flexible vinyl tracks. 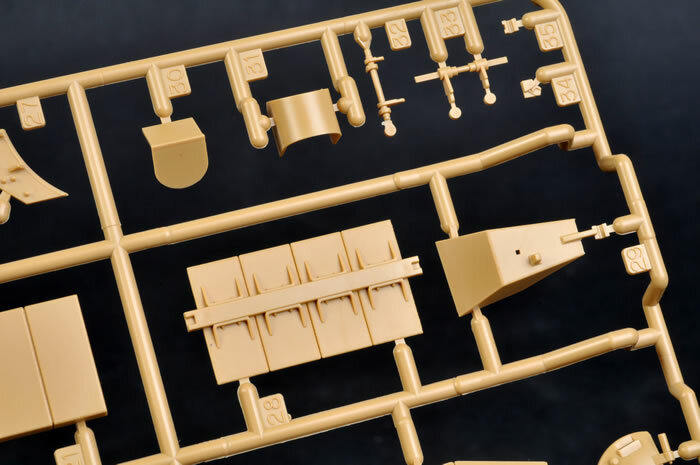 Two of the sprues and the upper hull are brand new, while the turret has also been modified to accommodate the armour segments and other fittings. All the parts, whether from 2002 or 2012, are moulded to the same outstanding level of quality. The suspension features separate swing arms, so the wheels may be posed on uneven terrain if the modeller wishes. The road wheels, idler wheels and drive sprockets are held in place with polythene caps. 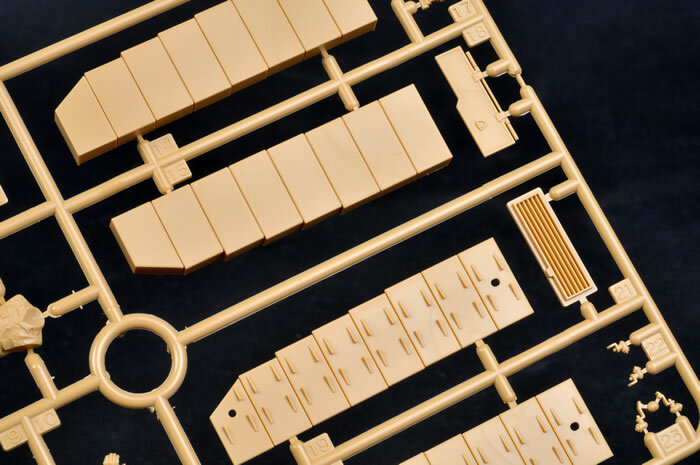 I was a little surprised that Tamiya did not take the opportunity to offer a set of link and length tracks with this new kit, but there are plenty of options available for replacements - Friulmodel and Modelkasten being the best - if you don’t like the flexible vinyl tracks. 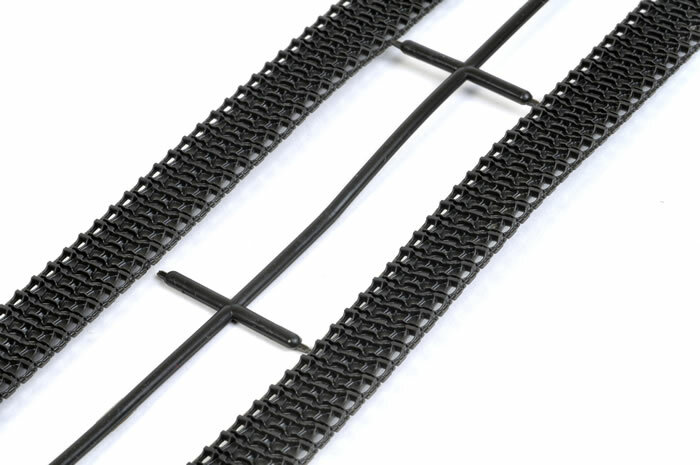 Vinyl mesh is supplied for the grilles on the engine deck, and the large external fuel drums on the back of the vehicle are included in this kit too. The gun barrel is broken down into left and right halves with an end piece. If you don’t want to deal with a centreline seam, you might consider replacing this with any number of aftermarket turned metal T-55 barrels. An Iraqi tanker figure is included, so you will be able to practice your moustache painting skills. There are no decals in the kit. 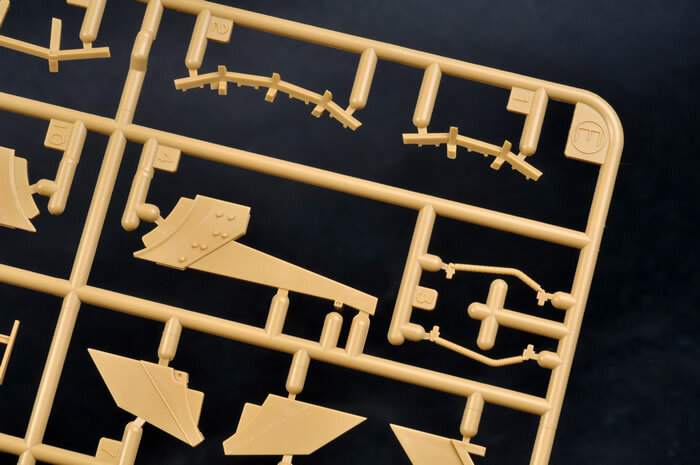 Tamiya’s T-55 Enigma is a logical development of their excellent T-55 kit, and should prove to be just as enjoyable to build as its predecessor. I can’t wait to get started on mine!